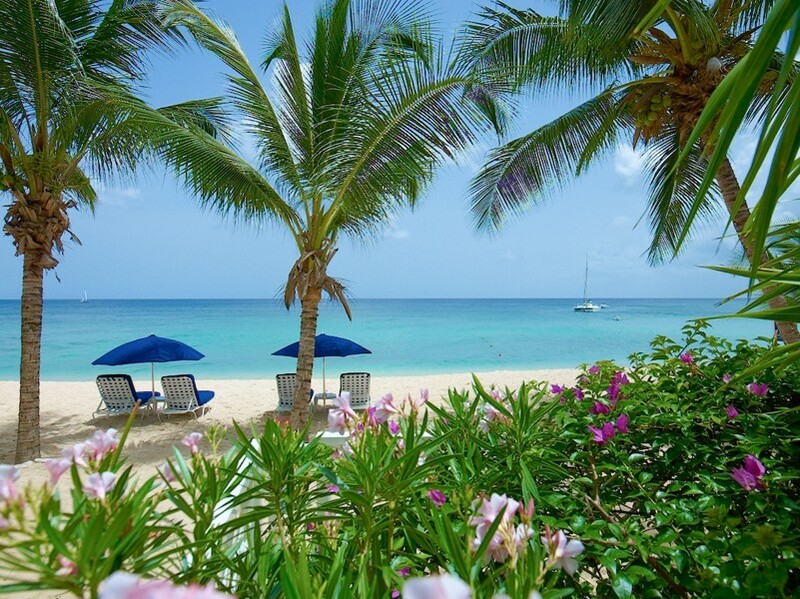 Overlooking the pristine waters and sands of Paynes Bay Beach is the amazing Villa Smugglers Cove 5. 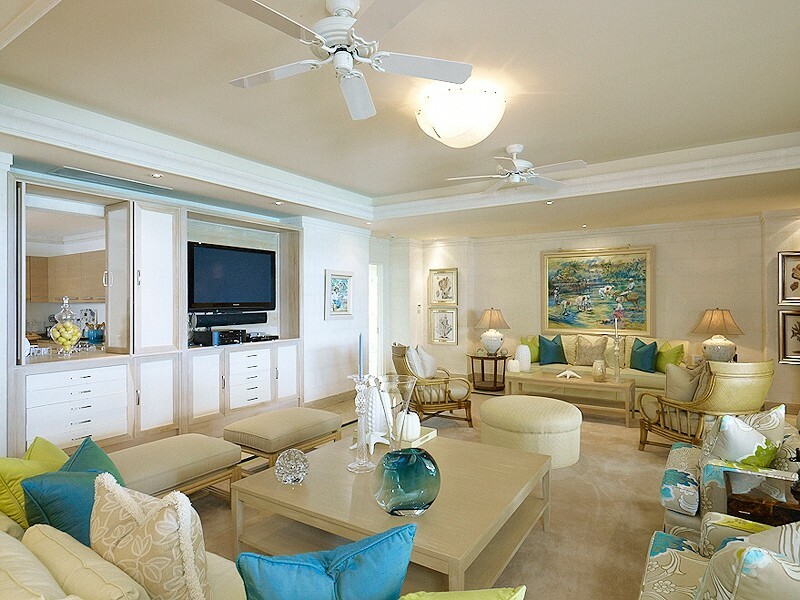 A spacious and luxurious apartment-styled villa, it features four bedrooms and a host of indoor and outdoor living spaces that can easily make the villa a destination in its own right. 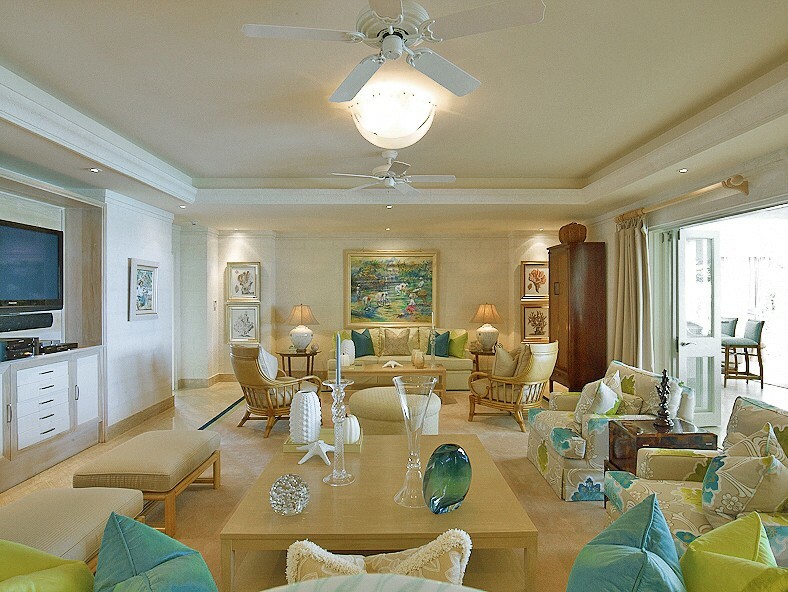 It all begins with the large and airy terrace area that comprises the front portion of the property. Overlooking the beach and in line with the swaying palms, it will catch the endless breezes and the ever-changing beauty of the scenery. 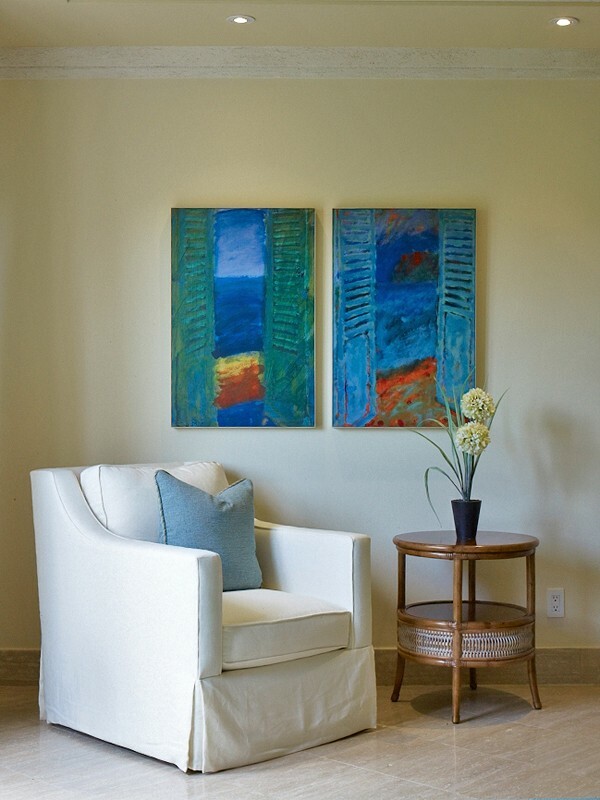 It includes a large and beautifully furnished lounge with full-sized sofas and chairs all in lovely tropical hues. 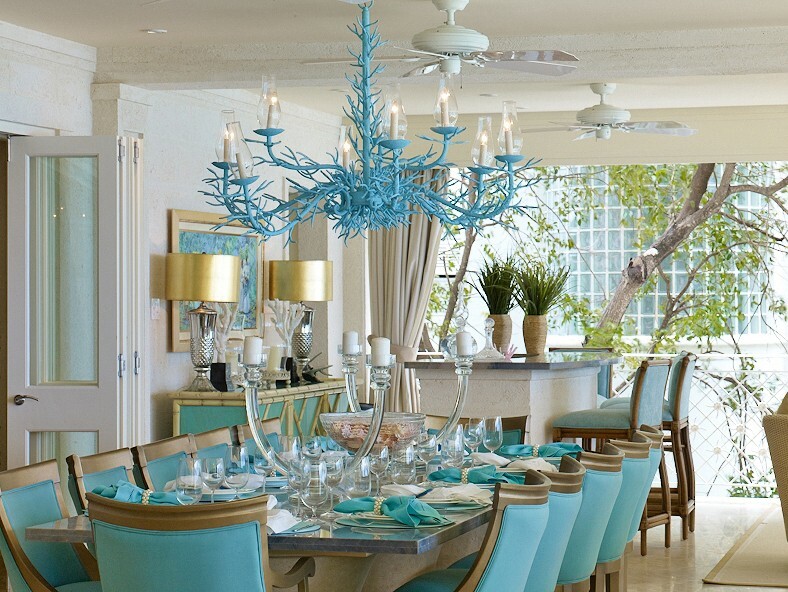 Adjacent to it is the al fresco dining room with its whimsical sea blue palette, including a coral chandelier. 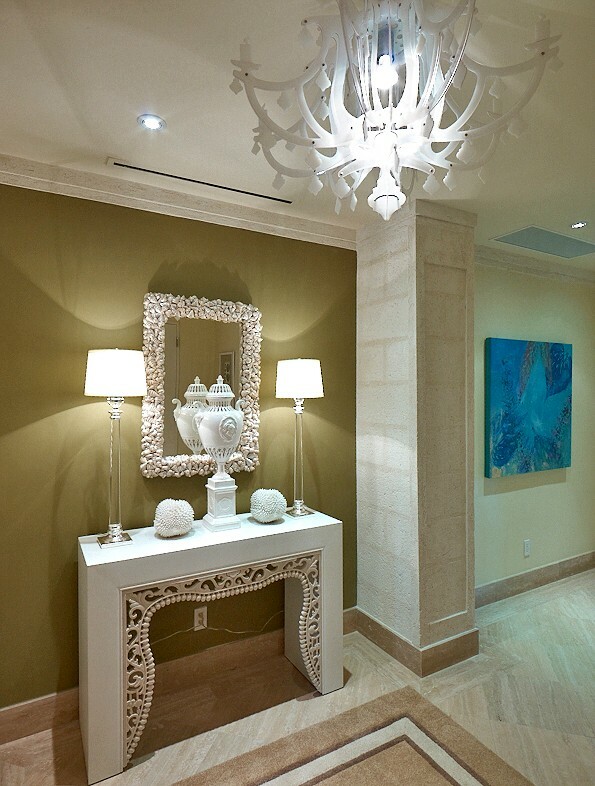 This area includes a wet bar and it will easily become a favorite gathering space. 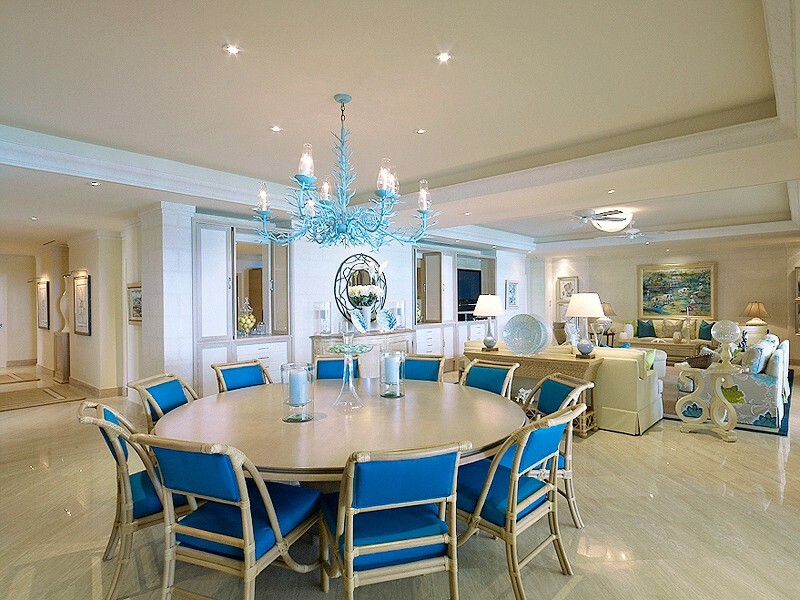 Just inside from the terrace is the formal dining room and living room area. 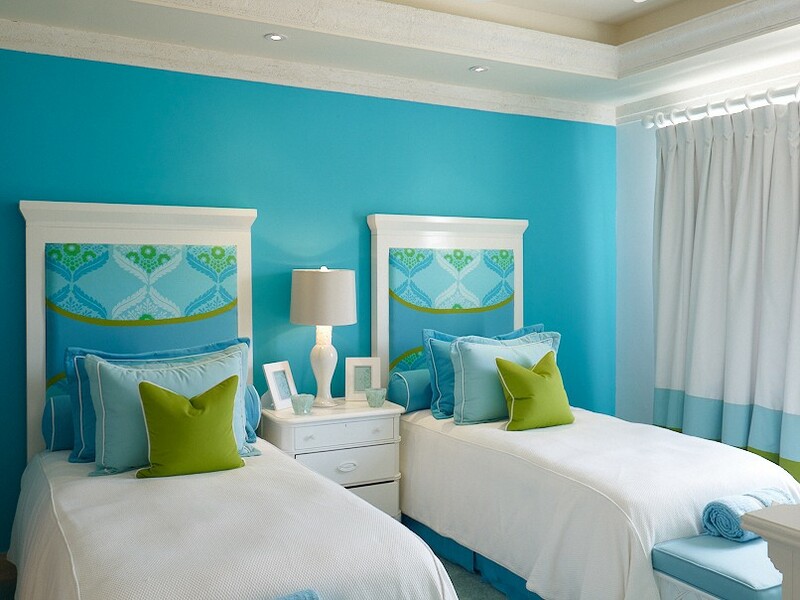 Also in a sea blue and white palette, it is comfortable and spacious, though it does offer a distinctly upscale setting. Next door is the media room, which is another enormous space furnished with two separate seating areas and with a high end entertainment center. With your household staff including a chef and housekeeper, you can kick back and enjoy all of the living spaces and even spend time in the gourmet kitchen if you choose. 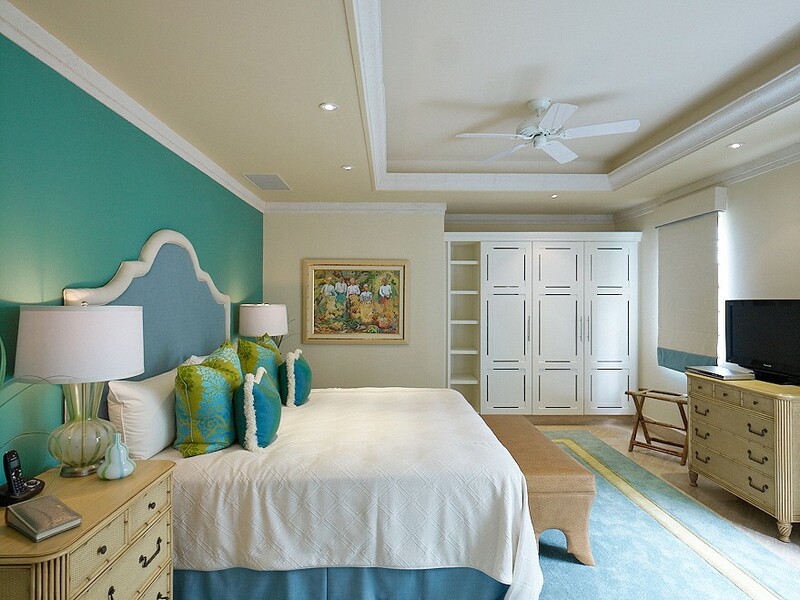 At the end of the day, you have one of four large and opulent bedrooms from which to choose. All of them have king beds, three feature a tub and shower, and all are en suite. Three of the four bedrooms open to the terrace and feature comfortable and private sitting areas. 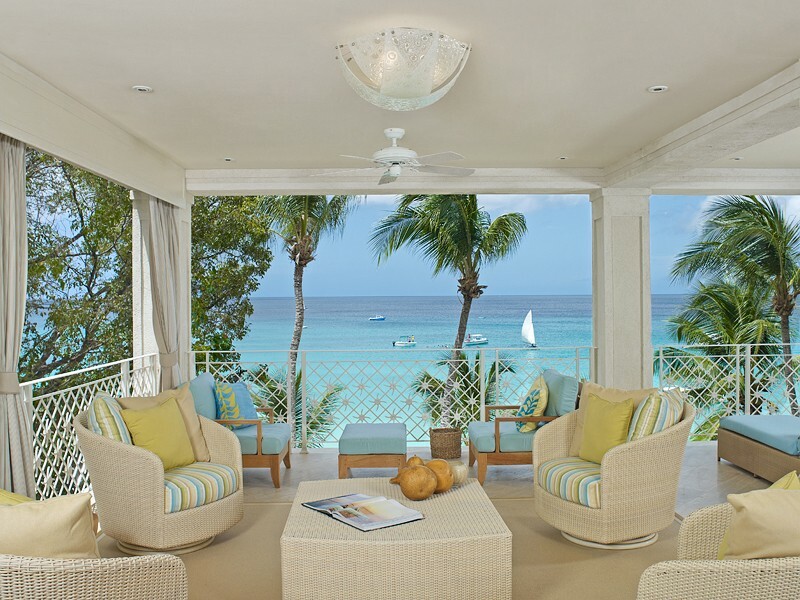 If you are hoping to enjoy a holiday in Barbados and in an accommodation that has it all, it will be difficult to match the many amenities, comforts, and services that you will enjoy in Villa Smugglers Cove 5. 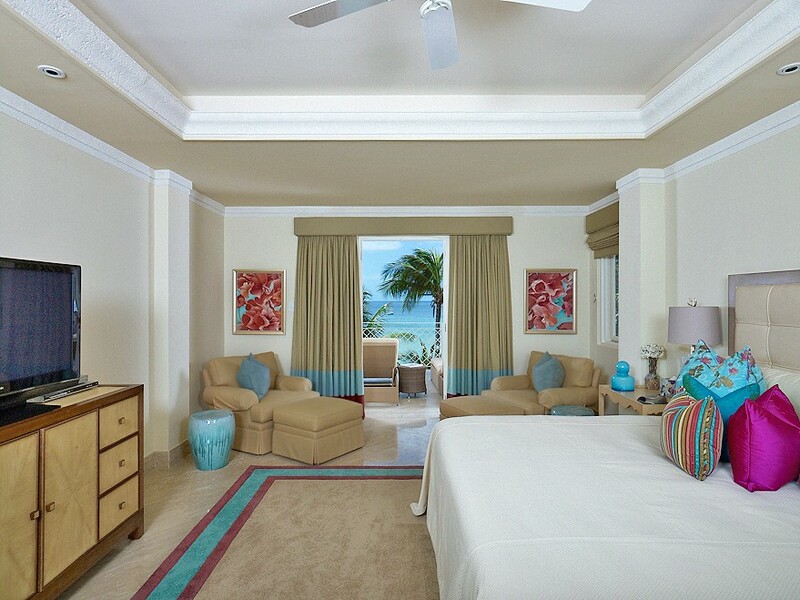 Bedrooms 2 & 3: Bedrooms with a king-size bed, A/C, ceiling fan and en-suite bathroom with bathtub, shower, vanity and WC. 2 guests maximum. 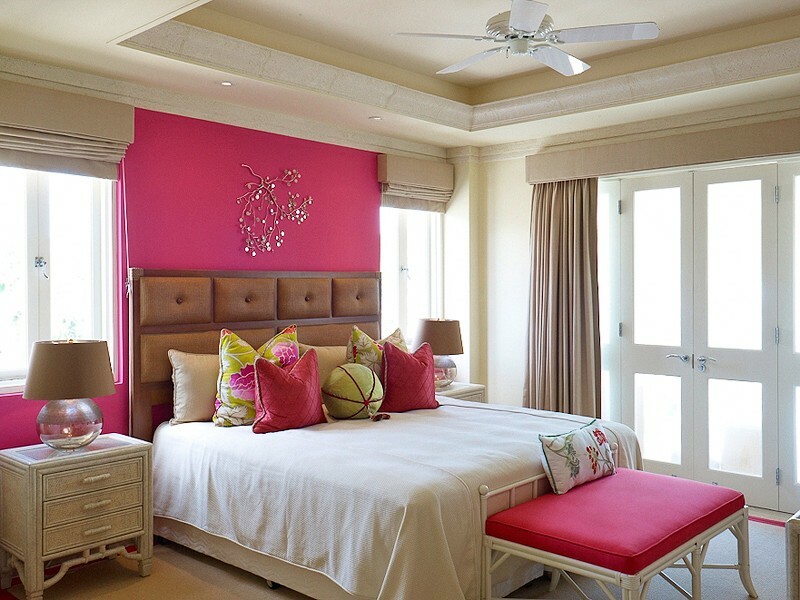 Bedroom 4: Bedroom with a king-size bed, A/C, ceiling fan and en-suite bathroom with shower, vanity and WC. 2 guests maximum. 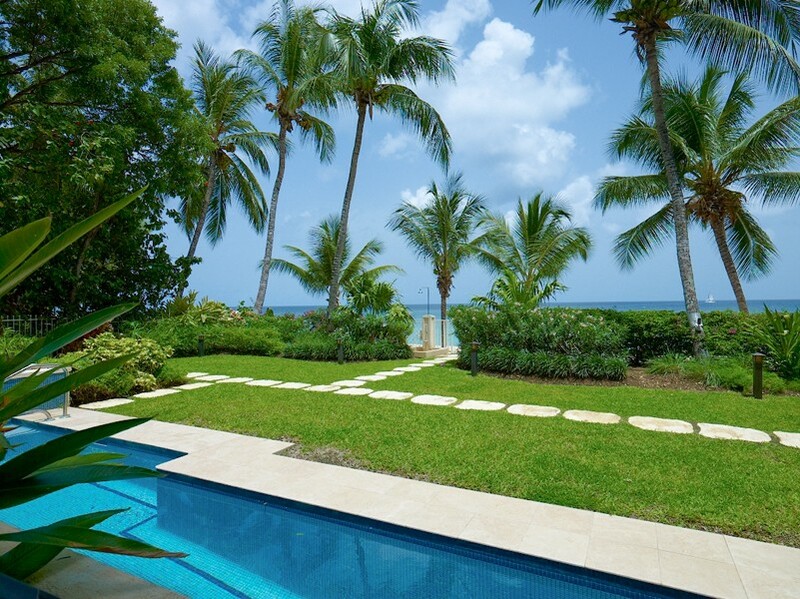 We have been renting homes for many years in Barbados and this one is our favourite so far. We especially loved the huge terrace. It was so lovely we spent much of our vacation here. We had lunches, sunset cocktails and even a barbeque one night. 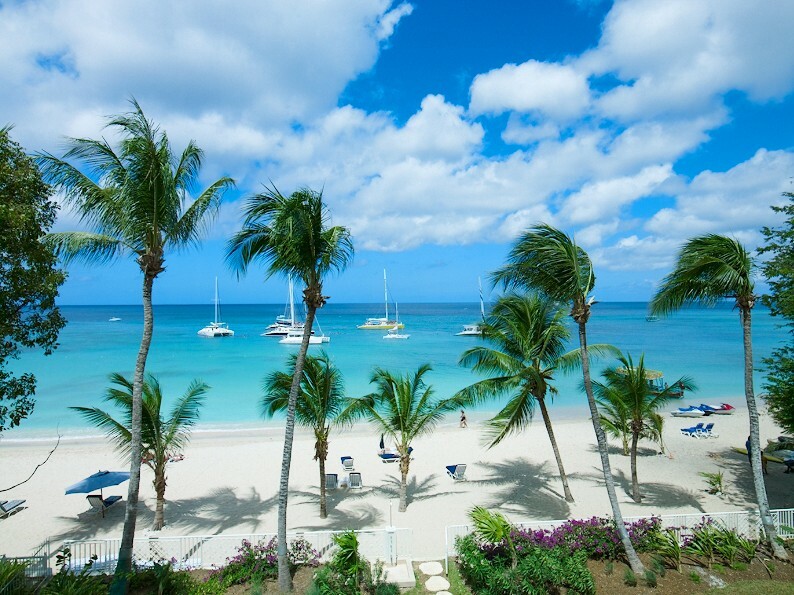 We also loved being on Paynes Bay and being able to walk to several hotels and amazing restaurants close by.